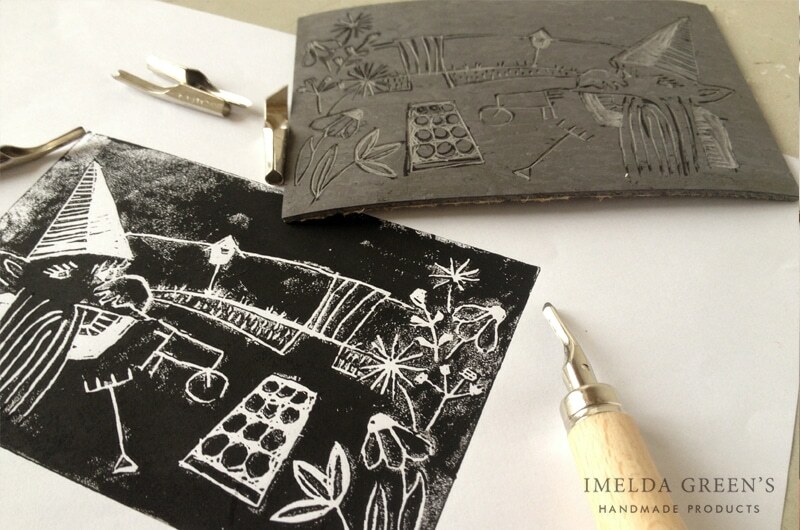 I first met lino-cutting at an afternoon class in primary school. I immediately fell in love with it but stopped working with it right away, as this technique is fairly complicated and also a little dangerous (at least for children). I came across it again during the illustration workshop that I took part in last year. One of the conclusions I drew from the illustration workshop was that I’ve become a bit lazy: I am not experimenting enough with new techniques, I am happy in my bubble of watercolours. Of course, there is nothing wrong with dwelling deep in one medium and learning all the secrets but if you don’t get out of your comfort zone you miss a lot of fun. So I’ve decided to start a new series on the blog: I’m going to try techniques that are new to me and tell you guys about my experiences. So what’s this and how does it work? Lino-cutting is a technique based on reproduction. 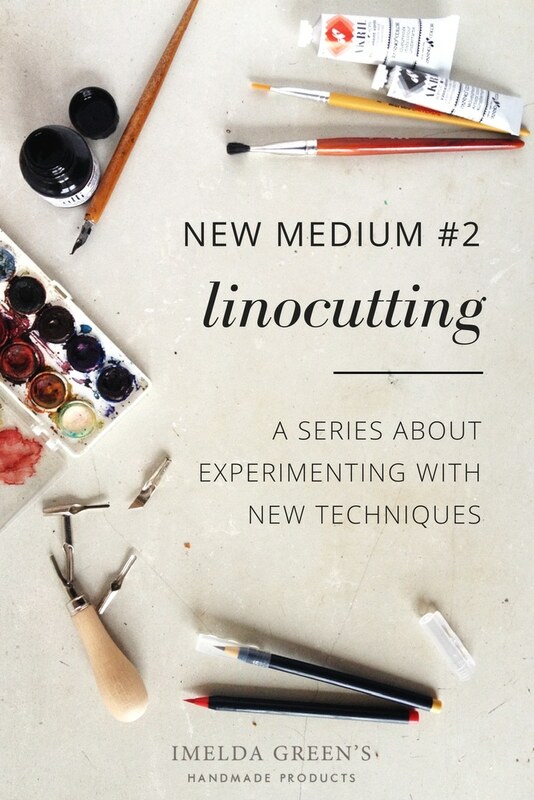 Basically what’s happening is that you take a piece of linoleum and cut out a pattern with a knife specifically designed for this technique. 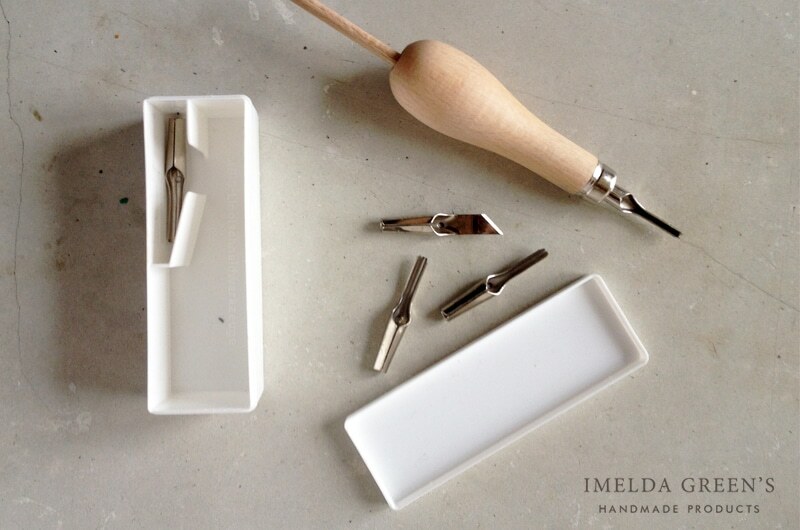 This piece of work will be your pattern with which you can create prints – so it works a bit like a stamp. The number of prints you can create depends on the quality and thickness of your linoleum: a softer “artist-lino” is easier to cut but after creating 100-150 prints it starts breaking, while a stronger, thicker piece can produce more prints without damage but it is a lot harder to carve a pattern into it. first I designed the composition on paper. It is important to know that – just like with stamps – the print will show the mirror of your cut. Take this into consideration when designing your piece. I cut out the pattern (you can find a video about the exact technique here). Watch out! Never put your hand in front of the knife! 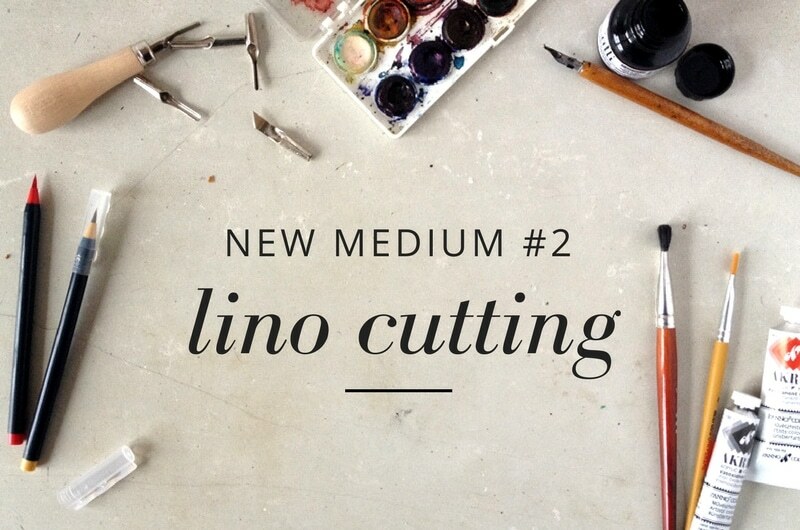 A lino-cutting knife is very sharp, don’t let it slip into your finger! The result will be a monocrome composition, which has no tones, so this technique works nicely if you have larger areas of both black and white apart from line-work. when I was done with carving the pattern I could start the actual printing process. You might need someone to help you with this if you do it at home. One of you will apply paint on the lino with a paint roller and then place a blank paper on top of the painted side of the lino. While you put pressure on the paper (with hands or the paint roller) the other should hold the blank paper in place. You can see the full process in a video here. 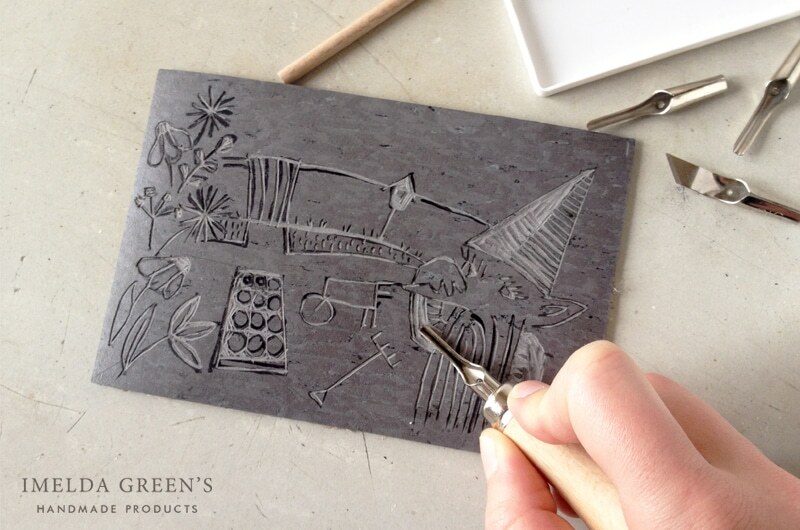 Lino-cutting takes patience otherwise it is easy to cut your hand. However, with a bit of practice it can become a fairly quick process, you can be ready from scratch to the printed piece in 2-3 hours (A6 size). Once you start, it is advisable to create more than one print though as it is a bit of a messy business, so maybe you should devote an afternoon to your first attempt. I still need a bit more practice in this medium, at first attempt the result was a disappointment. As an experienced painter I find it difficult to design patterns without shading and colours. I really like it that despite the fact that you can create dozens of prints no two pictures will loook the same. However, it still is a messy and time-consuming technique so in the following months I will probably abandon it. Yes! I love learning more. 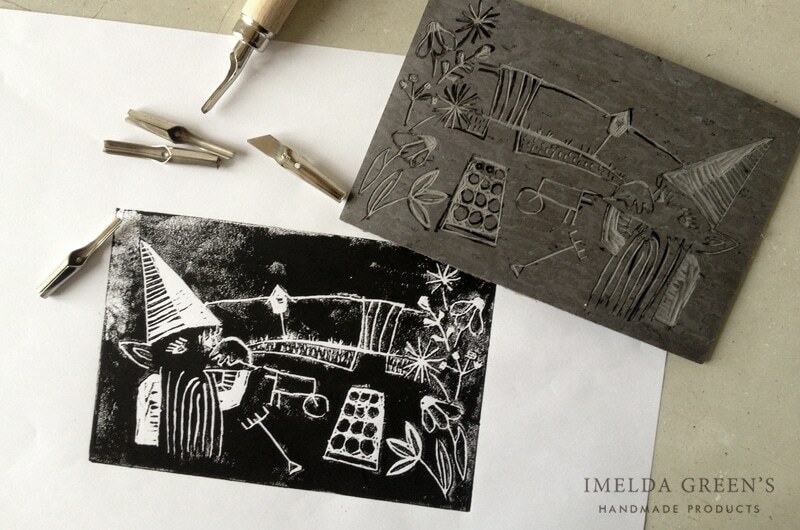 Lino cutting is different and time consuming and a tad dangerous. Thank you for the great post. Thank you for the kind words. Actually I wouldn’t call it too dangerous, you just need to take care of what you are doing I think.